The Bay Bridge at sunrise, when it costs $6 to cross. 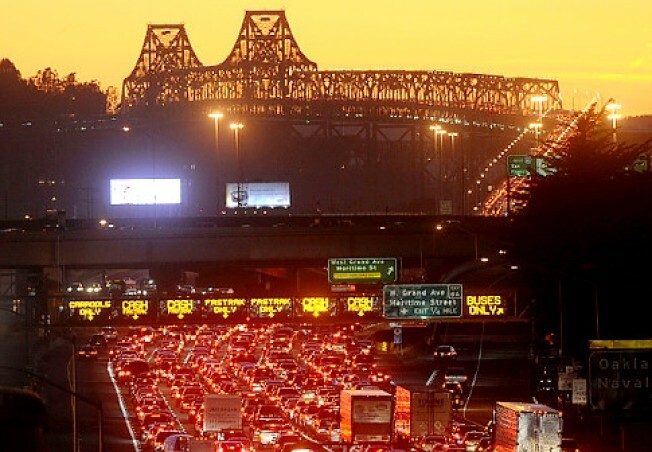 You probably wouldn't know it if you are among the tens of thousands of people who cross the Bay Bridge each day, but those congestion tolls are working, according to the Metropolitan Transportation Commission. The MTC reported Wednesday that commute-hour delays are down 15 percent. 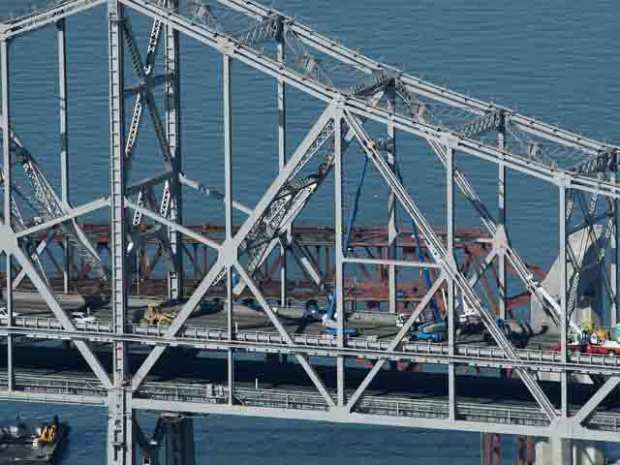 MTC Executive Director Steve Heminger presented the numbers, which he called "very significant," to the Bay Area Toll Authority's oversight committee. Last summer, drivers started paying two dollars more to cross the bridge between 5 a.m. to 10 a.m. and 3 p.m. to 7 p.m. on weekdays. You may not think 15-percent is a lot, but it adds up to a four minutes each day. That adds up to about an hour a month. MTC spokesman Randy Rentschler told Bay City News, "There's been some behavioral change due to the congestion pricing" but he said other factors could also be at work, such as the poor economy resulting in fewer people driving to the City for work. He said there is also evidence the two buck increase is causing more people to jump on BART.